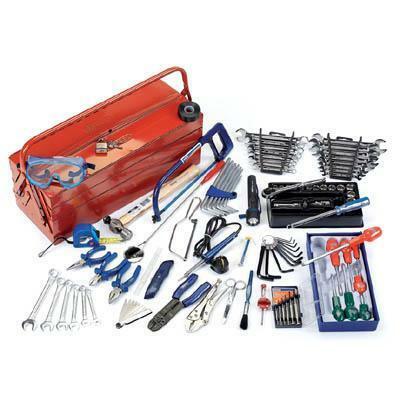 A comprehensive tool kit that can tackle any mechanical repair or maintenance. With just about every popular spanner and wrench size, through to really useful items like a sturdy rubber torch, you will never be left unprepared. Everything fits into a robust metal cantilever toolbox ready for your next rescue mission!